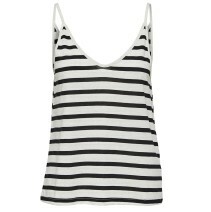 Lovely black and beige stripe v-neck strappy top. 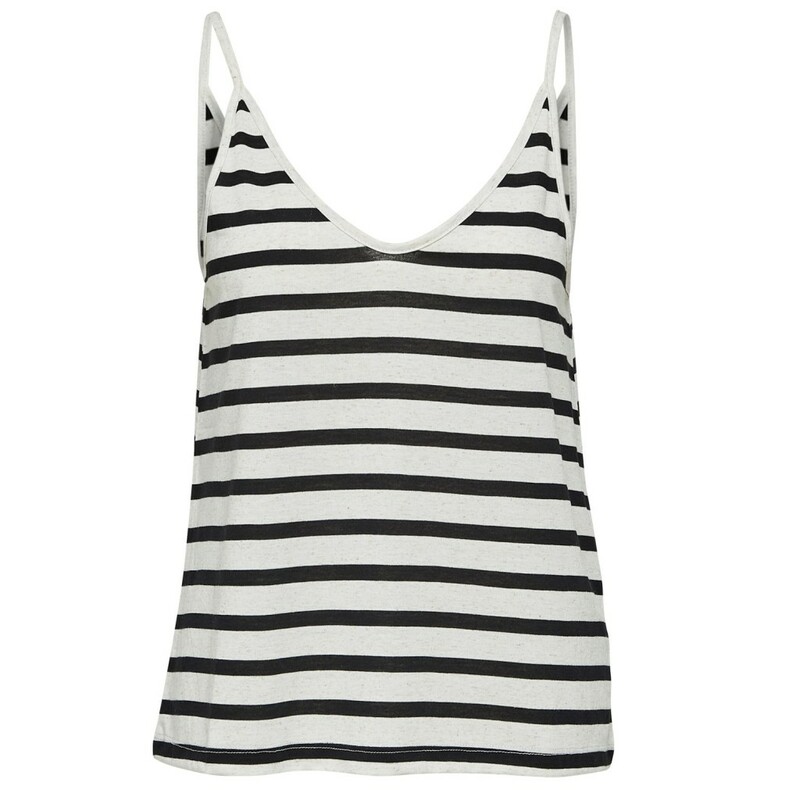 Easy to wear, soft material and will look great tucked into jeans or shorts. Composition: 88% Recycled Polyester, 12% Linen.